Many believe that the silicon/information age is heading to the Age of Biology and that the next frontier in ceramics will most likely require molecular level or nanoscale control. What, then, is the role of ceramics in the age of biology? As we change from an energy-rich society to an energy-declining society, how can ceramic materials appease the problem? 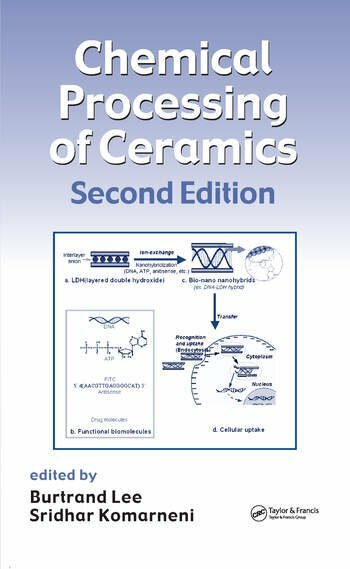 This new edition of Chemical Processing of Ceramics offers a scientific and technological framework for achieving creative solutions to these questions. Edited by experts and containing chapters by leading researchers in the field, the book uses an interdisciplinary approach to cover topics ranging from starting materials to device applications. The book begins with a discussion of starting material, highlighting how to prepare and modify them in the nanoscale range. 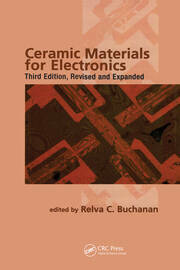 The chapter authors discuss the synthesis, characterization, and behavior of ceramic powders, the processing of ceramic films via sol-gel technique, and the fabrication of nonoxide ceramics. They also present coverage of several specific thin films, membranes, ferroelectrics, bioceramics, dieletrics, batteries, and superconductors. 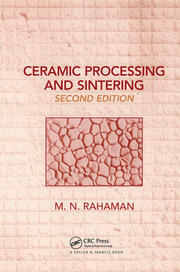 Although the book is edited, it is organized to reflect the chemical sequence of ceramic processing and the coherent theme of chemical processing for advanced ceramic materials. The coverage of molecular/nanoprocessing techniques that result in new materials will enable researchers and engineers to meet the challenge of producing inorganic materials for use in the applications of the future.